You’re not the one travelling, so why waste so much time booking it? All admin staff run into the same fundamental problems when booking business travel. It takes too long, important docs buried in emails, stuff is everywhere. The good news? Rogue Travel solves them. You have to book flights, you click around searching for the right one, enter the same traveller information you've entered 100 times before. No you don’t want insurance, no you don’t want to add a hotel, scroll, scroll, scroll, yes you're aware of the fare rules. And finally, you've booked. Beats dealing with a travel agent at least? Corporate travel software can’t fix this problem - they seem to make it worse, it usually takes longer to book this way (travel policies anyone?). What if you didn’t have to spend time clicking through pointless pages and buttons? What if you could just remove all travel policies because you’re less corporate-y and more a real person. You've just booked flights for several people, but now you have to check the dates after they've asked for details, again. Which email do you check? Where's the invoice? Which one has the itinerary number, what is their membership points number? What if you could have it all in one place and make your experience buttery smooth? What if you could just get on doing other things and stop worrying if you have the right information saved and ready to send? Book travel with no effort using Rogue Travel. Book flights and hotels. Save your travellers and teams. Download or send itineraries when you need. You’ll get back your time, you’ll keep your sanity and you’ll book travel flawlessly without a hiccup. You want to book a flight for someone in your company, not be bombarded with deals in the Maldives. A clean layout and special home for you to get on with it. What was Bob's date of birth again? 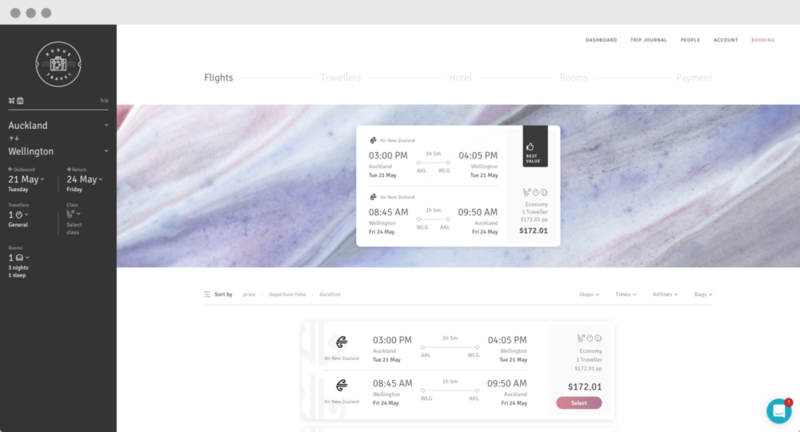 Keep all your teams' details in here so you don't have to re-enter it again every time you book a flight. 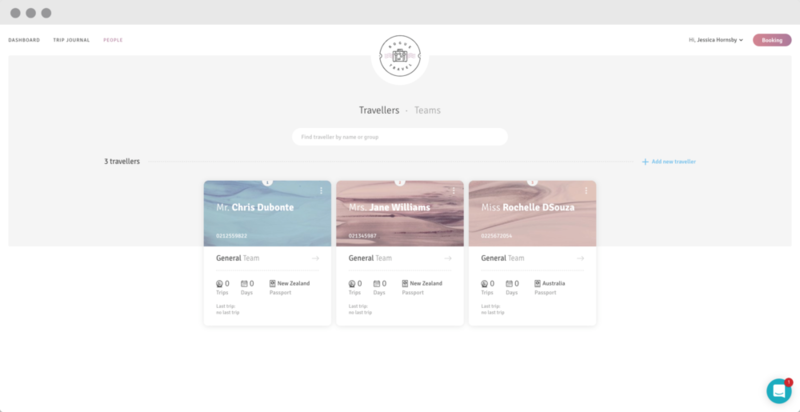 Now team travel doesn't seem so daunting. Copyright © 2019 Rogue Travel NZ Ltd.